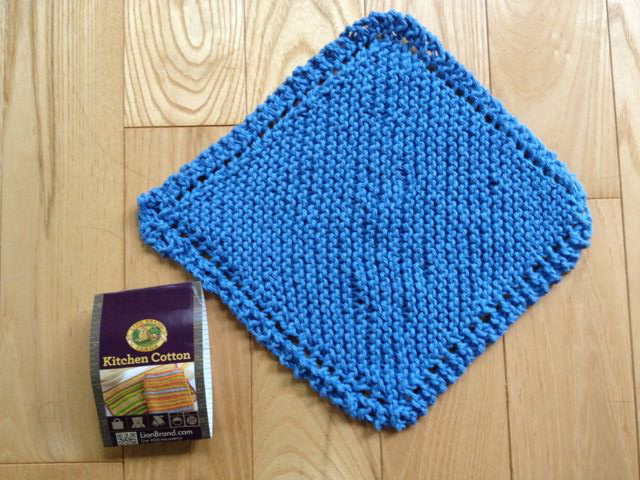 I ordered some great blue cotton yarn by LionBrand to try one of the variations for the pattern Grandmother's Favorite Dishcloth that I mentioned in a previous post . Success! 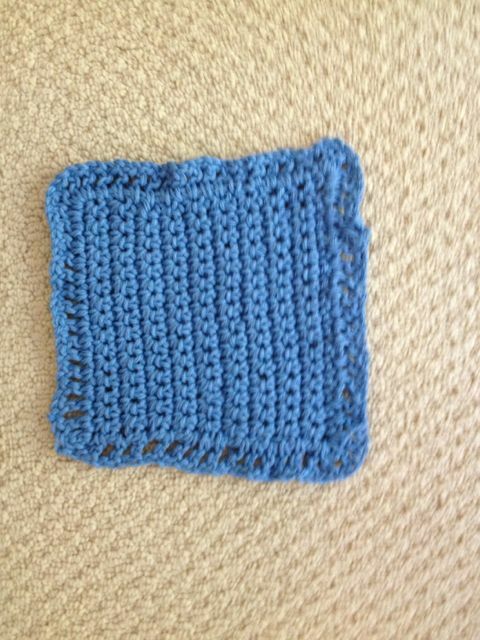 I completed a dishcloth in one evening. The finished cloth is soft and pliant. I could see using it as a facecloth. In fact, it reminds me of a gift that I received on a trip a few years ago. I was on a tour of Kyoto open markets and temples with a small group. We met in Kyoto and one of the participants gave each of us a cotton washcloth she had made. What a wonderful way to start a trip! So, now I am really attracted to this idea. I used less than one skein of yarn for this little cloth and I had bought two skeins to be safe. I decided to play with crocheting a cloth. 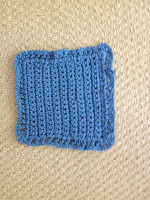 I crochet much more quickly than I knit so this little sample took only an hour or so. Yes, I know. It is not exactly square. :) You can tell that I was improvising as I went along, but I suspect it will work just as well. Great! I knit this pattern the other week from your links. Very fun and easy!